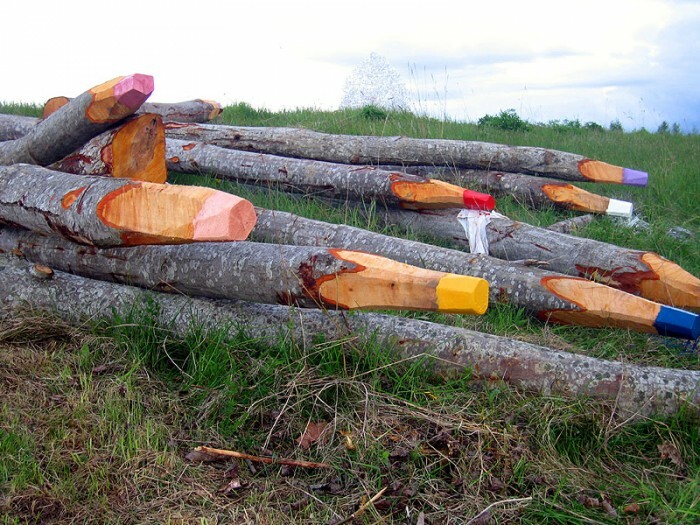 Finnish artist Jonna Pohjalainen has created this wonderful Environmental Art piece called “Colour Pencils“. 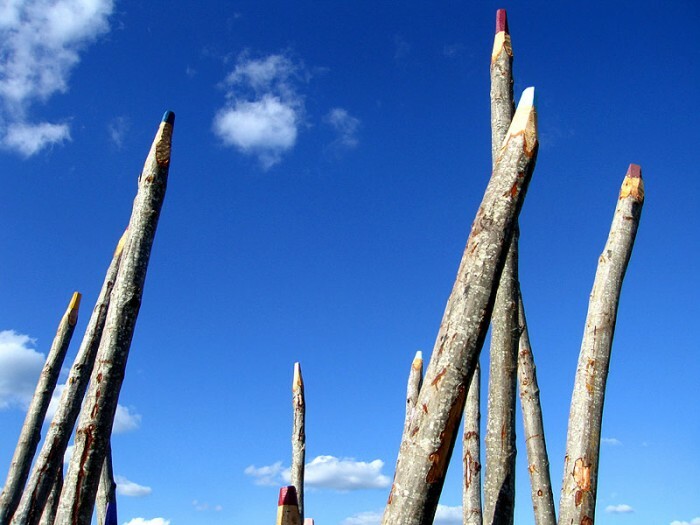 Using aspen tree trunks she cut and then vividly coloured the tips. Having taken on this different guise, the pencils look brilliantly at odds in their own home in the wilds. 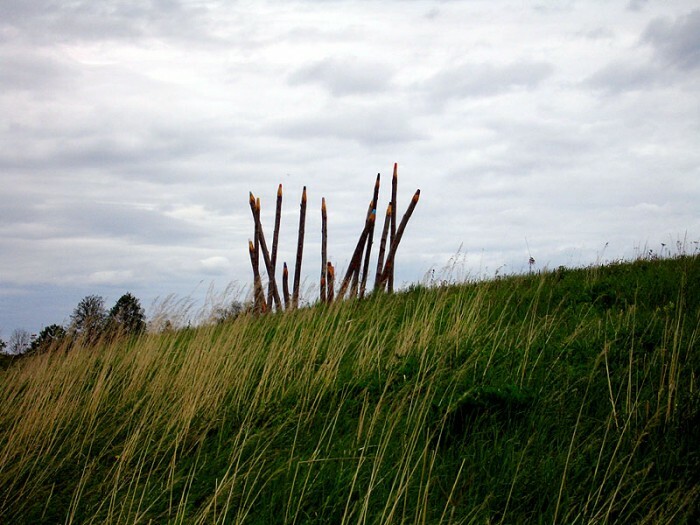 This is one of many works of Art that are well worth perusing on the Environmental Art website, a site dedicated to Finnish Environmental Art.